An administrative judge in the U.S. state of New York ruled that changes to Maserati's incentive program and franchise agreement were "unfair," confirming a previously determined outcome of a lawsuit against Maserati North America by one of its dealerships. The latest ruling affirmed that a number of proposed alterations to the franchise agreement were improper under New York law, and not just improperly imposed. As such, the decision appears to support other challenges to automaker-imposed changes to franchise agreements and incentive programs. In the earlier decision, the judge had also ruled that an alert that the automaker planned to change the program -- delivered as part of a PowerPoint presentation at a Maserati dealers meeting -- did not constitute the required written notice of 120 days or more in advance of a change. In the wake of the Wide World Maserati suit, Braman Dealerships, of Miami sued BMW and Audi for similar changes to those brands' incentive programs. In August, Wide World Maserati in Spring Valley, N.Y., argued in a New York court that alterations to the holdback policy qualified as a franchise modification, regulated by New York's dealership law, as revised in 2009. After the dealership won the suit, the onus was on Maserati to prove changes made last year to its longstanding bonus program were fair. Under New York law, an unfair change "is not undertaken in good faith; is not undertaken for good cause; or would adversely and substantially alter the rights, obligations, investment or return on investment of the existing franchised motor vehicle dealer under an existing franchise agreement." The lawsuit challenged the reduction of the guaranteed holdback to 2 percent from 4 percent previously, proposed in the new program. Holdback is a portion of the difference between the sticker price and the invoice price that the automaker holds back when the dealership buys the vehicle. The amount is returned to the dealership at a later date once the vehicle is sold, and usually expressed as a percentage of the sticker price. 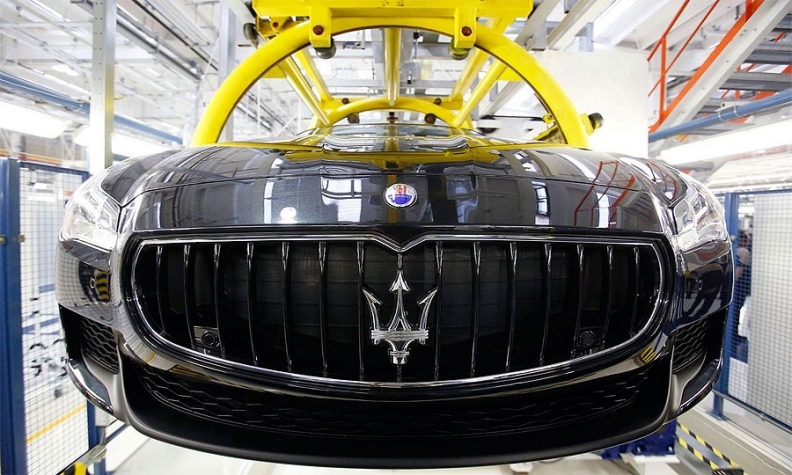 Wide World "is faced with the prospect of making less on its sales than with the present franchise arrangement which has been in place for 12 years per the testimony of [Maserati North America]'s CFO, Tony Tullio," court documents said. • Contributions to Tier 1 national advertising for the brand. Administrative Law Judge Walter Zulkoski, who sided with the dealerships Aug. 1, confirmed his decision Nov. 10 in a second hearing by New York's Department of Motor Vehicles' Division of Safety and Business Hearings. The ruling said all of the targets that a dealership had to meet to receive incentive payments were either unfair or violated a provision of New York law. In his latest decision, Zulkoski ruled a number of actions beyond the holdback changes were also "unfair" under New York law. For example, the court ruled as unfair a proposed change that would have given Maserati North America the "discretion on a dealer-to-dealer basis whether to use a measurement adjusted for total vehicles sold in the market or sales limited to competitors [Maserati] deems are appropriate comparisons" in deciding whether the dealership was performing up to snuff. On the other hand, the court ruled that it could not at this time declare as unfair a provision that would change the definition of a dealership's "sales area" to be anything that Maserati said it was. But, the court noted, that change may run afoul of an earlier New York court ruling about how automakers measure dealerships' sales effectiveness ratings. In addition, the proposed new franchise agreement would have authorized vendors outside licensed Maserati dealerships to sell Maserati-branded goods and merchandise. Zulkoski said this could adversely affect dealership profits. "Allowing non-Maserati entities to sell Maserati-branded goods hardly increases [Wide World]'s bottom line where now [Maserati North America] has created competition in its Maserati-branded goods product line," the decision said. • A global release, wherein all pending litigation against Maserati would dissolve once the new agreement took place. • Making Michigan law apply to all disputes between the automaker and the franchisee. • A change related to product liability that would hold the dealership harmless in the case of an alleged vehicle defect, "provided that the alleged defect could not reasonably have been discovered by Dealer during pre-delivery inspection or service of the vehicle." • Allowing Maserati to unilaterally set right of first refusal and option to purchase requirements in the event of a dealership sale. • Giving Maserati the right to share the dealership's financial information with its "parent, members, subsidiaries and affiliates," as well as to inspect the dealerships books and records without any notice. • Giving Maserati the unilateral right to set any requirements it wants with respect to dealership facilities with no exceptions for minor changes. • Reserving for Maserati the right to eliminate electric and hybrid-electric vehicles from the definition of Maserati vehicles, thus allowing the automaker to potentially withhold those vehicles from Wide World Maserati. The dealership cited an Automotive News article quoting Fiat Chrysler Automobiles CEO Sergio Marchionne as saying that by 2019, all Maserati vehicles would be either electric or hybrid ones.